For more experienced brokers and dealers, it is a cost-effective way to keep abreast of recent developments and the latest legislation, enabling them to maintain their professional competitive edge. Course leader Mr Andy Cunningham, has many years of brokerage experience. Attached you will find a sample programme which covers many topics such as Marine Law, Finance and an insight into new boat sales. The speakers are marine industry professionals in their specialist fields and provide topical and instructive lectures. 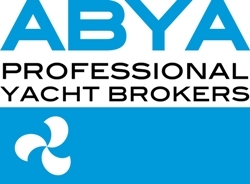 ABYA runs the Yacht Brokerage Course three times a year. To see the dates of our courses, please refer to the ABYA website http://www.abya.co.uk/news/?type=events. There is an excellent opportunity to network on the Monday evening at the Delegate's Dinner which is included in the cost of the course. This is where all the delegates can discuss the day's events and to talk about the wider brokerage world. Both booking options include the Delegate Dinner on the first evening of the course (accommodation not included in the price).